How can I create a counter for workshop registrations? I have a workshop registration form and their is a minimum number of attendees for the workshop to "make". Is there a way to place a counter on the page that has the link register? This is where I would want the counter to appear. Thanks for your request. 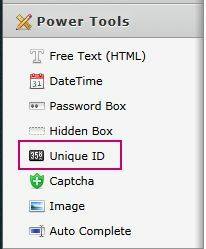 First, you need to insert a unique ID field in your form. You can find it under the Power Tools section of the Form Builder. 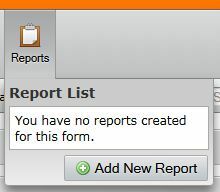 Name the ID to something like 'Products submitted' or 'Entries Submitted'. This label will be displayed in the form as the title of the counter. Unique ID should start at zero the first time it is added to a form, meaning, previous entries will not be counted. 8. 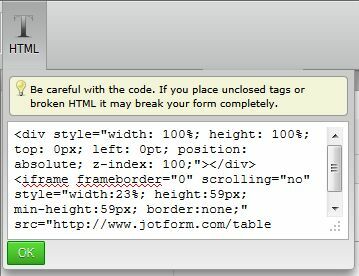 Click the HTML button in the toolbar then copy your report's iframe code. Change the height and min-height to 59px. You may adjust the width as well to your preferred value. 10. Save and test your form. I hope this information will be of help to you, feel free to contact us if you need any assistance.